What Is The Link Between Sleep Apnea And Rosacea? If you have the condition Rosacea, then your sleep apnea might make this skin disorder much worse. Some of you may ask, “What is Rosacea?” For those of you who haven’t heard of this skin condition, let us first discuss what this disorder is all about. By definition, Rosacea is a skin condition that is best characterized by the redness of the skin on the face. Often times, people who suffer from this skin disorder have breakouts of acne, alongside the redness of the skin. It is a harmless condition, just as long as it does not affect the eyes. The disease primarily affects the forehead, cheeks, and nose, but can also be found on the neck, scalp, chest, and ears. In some cases the disease can develop into permanent redness of the skin or permanent bumps on the face. Due to this, treating the disease is vital. The disease mostly affects Caucasians of European decent. To be more specific, it mostly affects people with roots from Great Britain and Ireland. This is where the disease originated from. Mostly, this disease affects women. In the United States alone, 1 in every 20 or 14 million people suffer from this disease. This number may even be higher, since the disease is often misdiagnosed by doctors. Your dermatologist can effectively treat the disease by prescribing certain topical ointments. There are also natural methods of treatment available. When the sympathetic nervous system is stimulated, this is when flushing or redness occurs. There are a couple of things that stimulate the sympathetic nervous system. These 4 are the most common factors behind the occurrence of the condition. Preventing the disease means dealing with these 4 factors. If you take another look at the 4 factors above, lack of sleep is one of the major factors behind the skin condition’s development. 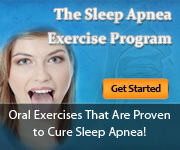 Sleep apnea deprives you of sleep. Therefore, if you are of European decent, and you have sleep apnea, you are most likely to develop the skin condition. True, Rosacea is a relatively harmless disease, but it causes a lot of discomfort, pain, and embarrassment. To lessen the chances of developing the skin condition, you must have your sleep disorder treated.